LIAWA is the most prominent Landscaping association in the state. 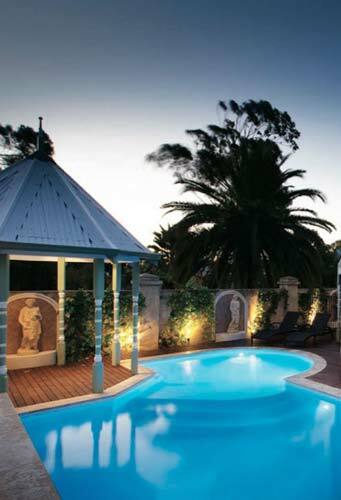 Close affiliates of Landscaping Australia Inc (LAI), they work extensively to set and promote industry standards, and best practise. LIAWA membership is an accreditation that binds industry providers to an exemplary code of ethics, and ensures the highest standard of workmanship and professionalism. 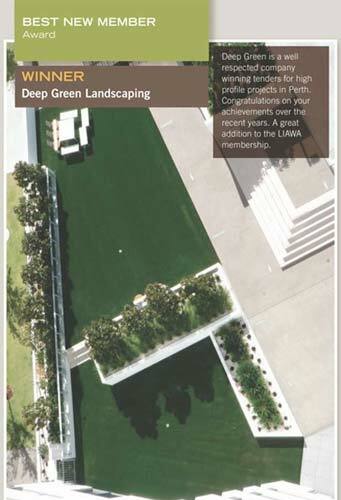 The LIAWA Awards for Excellence represent the premier industry awards for landscaping in Western Australia. 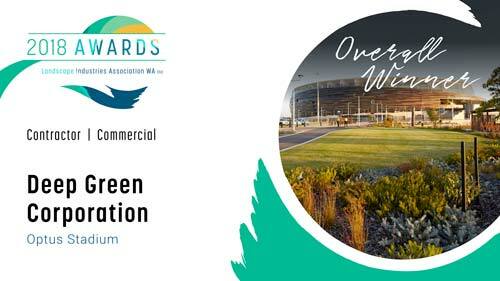 Announced at an annual gala dinner, the event brings together the best of the landscaping industry of WA. 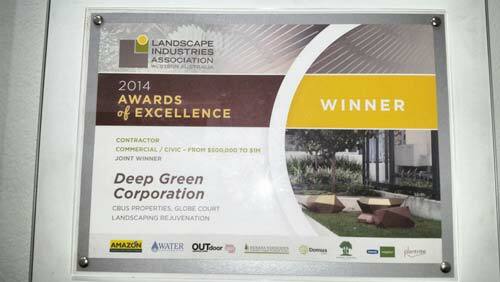 Landscape Industries Association WA inc. 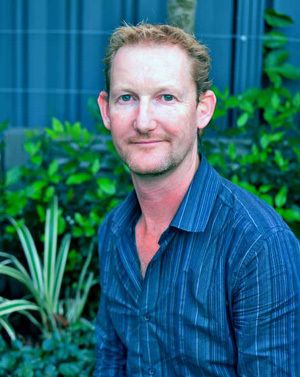 Deep Green Owner and Founder, Julian Rose, has been awarded a place amongst WA’s ‘40 Under 40’, 2012. 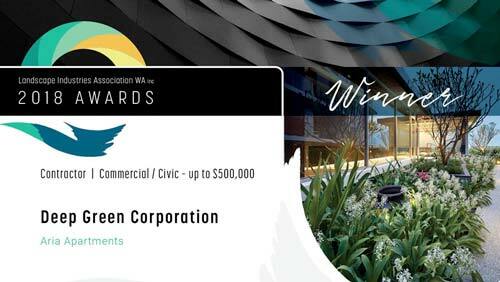 The prestigious event is hosted, annually, by WA Business News. Reader Votes and a panel of judges select 40 of WA’s top leaders in Business, under the age of 40. Nominees are evaluated based on outstanding achievement in commercial enterprise, and exceptional contributions made within the social or non-commercial sectors. 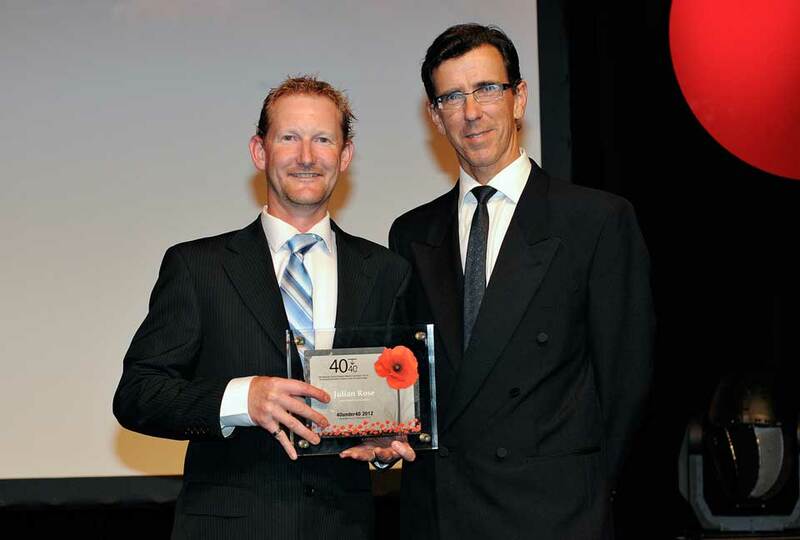 All of the 2012 winners are listed on www.40under40.com.au. The winners range from leaders in the finance and investment sectors, to health, education, marketing, commerce, engineering and trade services. Each winner is listed with a profile description outlining the achievements they were selected for. 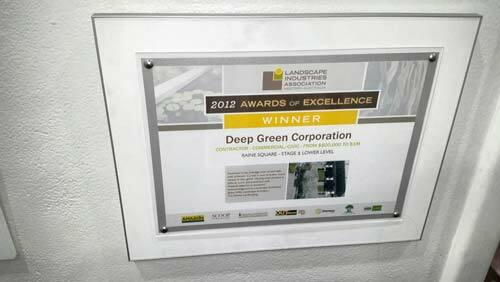 The website details some of the successes of Julian’s landscaping company, Deep Green. 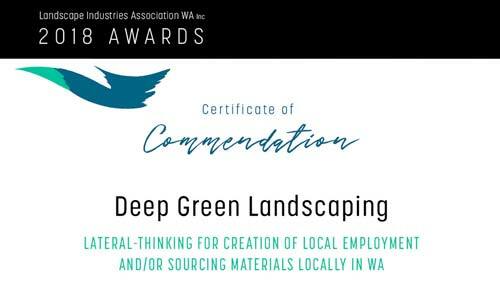 The company’s recognition by the Landscaping Industries Association of WA (LIAWA) is cited. 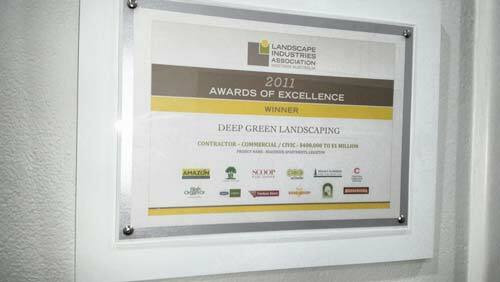 Deep Green received ‘Best Overall Landscaping Contractor’, ‘Best Newcomer’; and the Commercial/Civic Contractor Award ($400k -$1 Million) during the LIAWA Awards for Excellence, 2011. 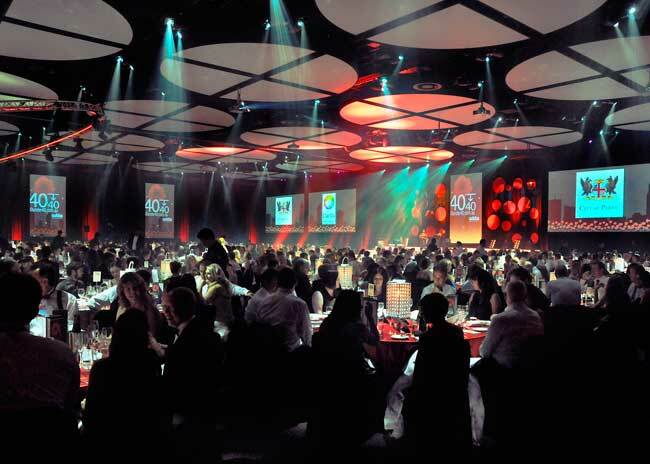 (see article below) The Gala Awards were held at the Perth Convention & Exhibition Centre, on Wednesday, 22nd February, with 900 respected guests in glittering attendance. The compere’s introduction to Julian’s presentation remarked on the rapid expansion of Deep Green, since its conception in 2004, into a thriving business, employing 20 staff, 3 apprentices, and up to 40 contractors at any one time. Grey-Egerton Warburton, Head of Corporate Finance at Hartleys, was singled out from the 40 and awarded the WABN First Amongst Equals Award for his role in Hartley’s staggering $47.5 million turn around. www.wabusinessnews.com.au The splendid evening ended on a high note with a spectacular pyrotechnic display. It’s back to earth today however, and back to doing what Julian loves best. 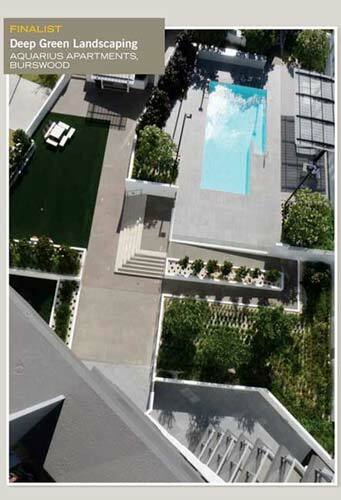 That’s creating stunning open areas and gardens and a smarter, greener Perth. 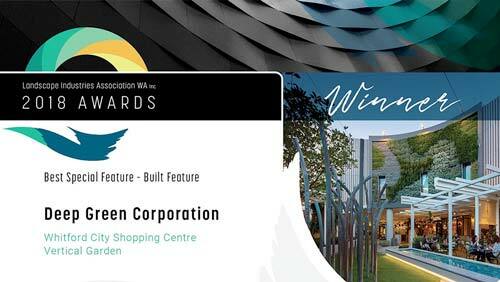 2014 was another great year for Deep Green at the LIAWA awards, winning the Contractor Award for Excellence for our work on Globe Court Landscaping Rejuvenation project. 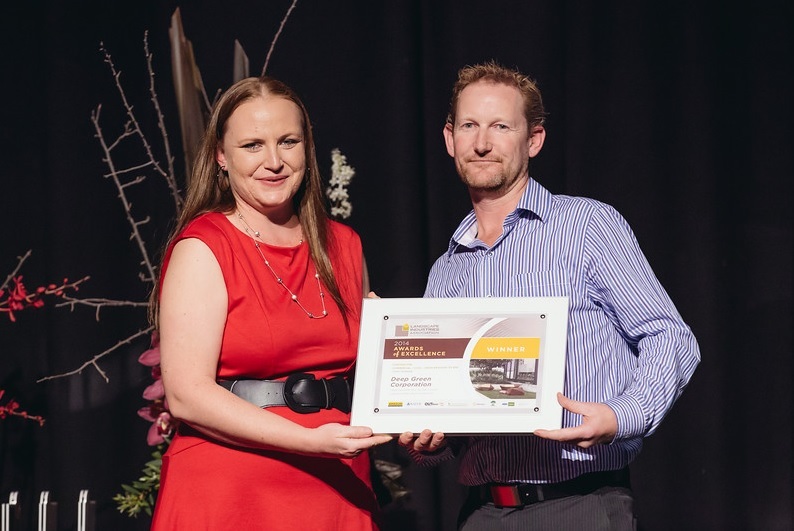 We also received awards for our works on the Fiona Stanley Hospital project and Product of the year finalist for our Vertical Garden/ Green wall systems. but also from the goals that we were inspired to set ourselves, for the year ahead, for excellence in maintenance, as well as construction. One of those goals was to achieve maximum impact within strict time allocation, for our commercial clients who really appreciate the minimisation of ongoing costs. The commendation we received at the awards for the maintenance of Aurora Apartments was a great indication that our efforts are paying off, as well as a great follow up to winning an award for landscaping construction, at the same complex in 2011. We were very pleased to be selected as a finalist for the Residential Maintenance Award of a fabulous Mosman Park property. An awesome effort was made by our team this year, with mulching, pruning and general upkeep. They did a great job maintaining the dripline filters, and the beautiful lush lawns are the real applause for that. 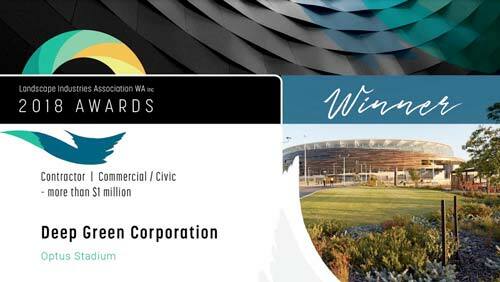 The project fell into the ($500,000-$1 Million) category, and it was wonderful to win recognition for this very urban project that came with all the related demands of an inner CBD project. One of the standout features of the project is the cross pavement drainage, implemented using two direction stone veneer, which works brilliantly, functionally and aesthetically. The varying steel planters got a special mention. They were tricky to instigate but the finish is very effective. Material selection was also cited as a distinguishing mark of excellence for this project. Good use of plant materials and great to see some variety. 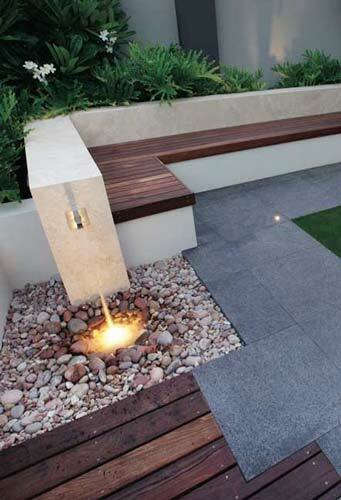 Well-constructed hardscape with great attention to detail and interpretation of design. Designed to be spectacular, both from ground level, and from overhead, this colourful, contemporary landscape, both contrasts and blends with the modern apartments towering above. Suitable material used for period of home plus quality workmanship. Beautifully finished hardscape. Decking is amazing, and it is great to see new materials blend with existing ones. 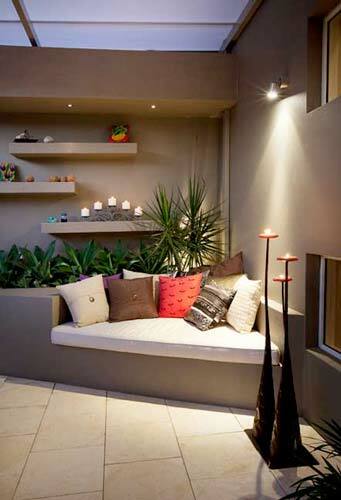 This is how a courtyard really does become an outdoor room. The wood panelled bulkhead was stylishly constructed to fit in with the overall design, but the purpose was to hide the neighbour’s roofline. The garden roof protects the areas for cooking, lounging, and alfresco dining from the harsh sun or rain. We left one sixth of the area open, and this gives a great flow through of fresh air, for that outdoor feel, and also provides an unimpeded visual window into those magnificent west Australian skies. 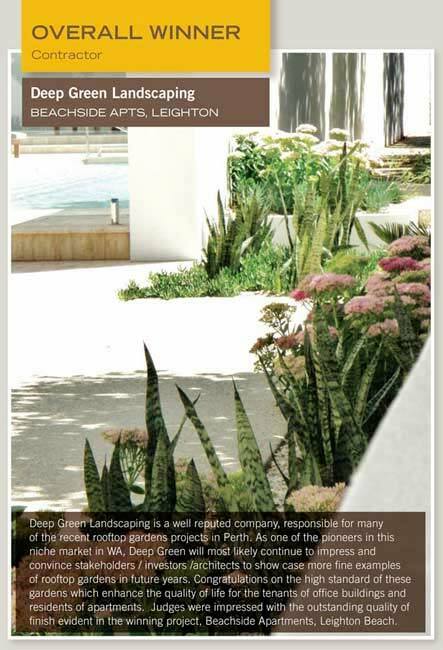 The judges loved this beachside development, which encompasses a stunning array of plants and trees, contrasting gravel, and the clean lines of raised planter beds, and different levels, to create a functional, interesting landscape for the residents to enjoy and admire. 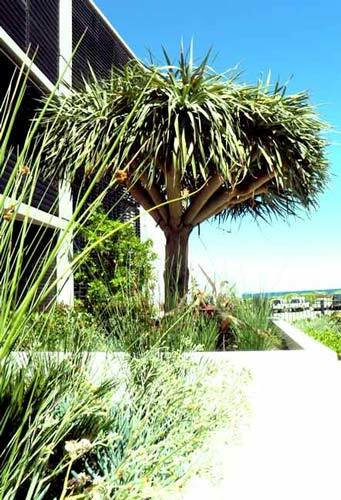 The grass tree is a feature plant with real star quality, but needs plenty of space to perform. The grey planters are flat, chunky, smooth and angular. Then the river stones come into play. Varying shades and sizes of earthy red and brown tones, they add a touch of tailored chaos. The pavers are saw cut concrete, imbedded in summer fine gravel, which is made from crushed quartz. The effect is streamlined and other worldly. This beachside development encompasses a stunning array of plants and trees, contrasting gravel, and the clean lines of raised planter beds and different levels, to create a functional, interesting landscape for the residents to enjoy and admire. A stunning, double trunked Ponytail Palm, is elegantly poised at the entrance. With striking succulents contrasted against the smooth grey planters, the garden reflects the minimalistic style of the house it surrounds, while still managing to arrest the attention of passers-by. 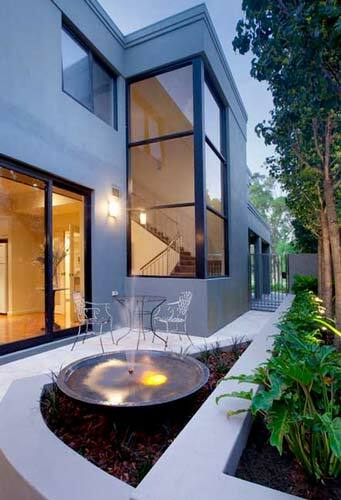 House and garden meld into one elegant edifice. All of these awards have come in recognition of everyone here at Deep Green. Having built a dedicated, professional and passionate team, the work to keep up this level of quality is still in front of us, but so is the prospect of new and exciting explorations into landscaping. 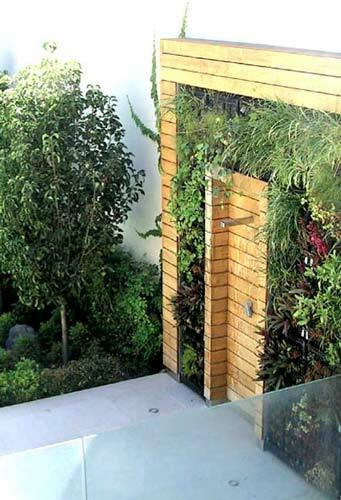 We are particularly looking forward to developing our expertise in roof garden and vertical garden, design and delivery. 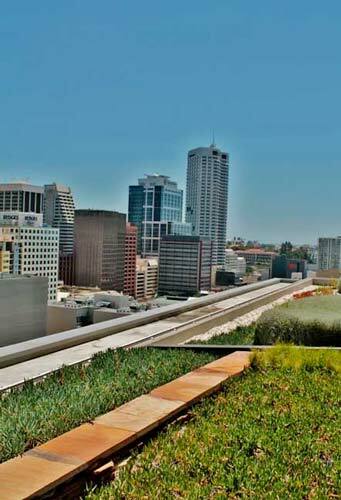 An inner city office building with rooftop landscaping on the 7th and 14th levels. 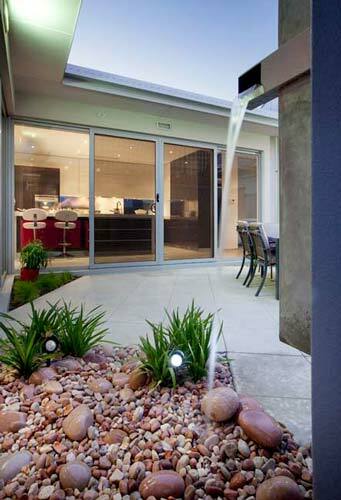 The garden uses waterwise, drought tolerant plants with contrasting coloured gravel and low angular walls. The walls are rendered with a paint finish and also clad in natural rock, creating a dry stone appearance to delineate separate garden areas. These aspects combined together, create an angular, modern, bold landscape to contrast with Perth’s skyline. This extremely functional, aesthetically pleasing landscape provides the residents of this stunning, modern apartment building, with a crisp, lush view from the building, and an inviting area in which to relax and enjoy. A delightful mixture of strappy leaved plants, vibrantly coloured succulents, and stunning mature trees, coupled with white and grey straight lines, create a total experience to be relished in the outdoor area. 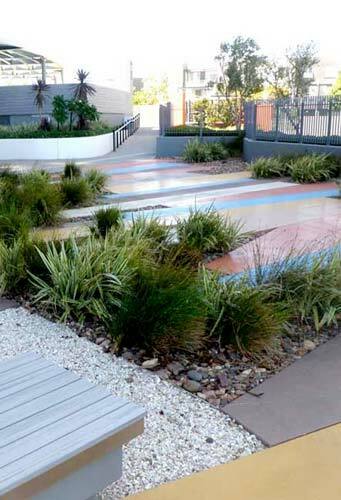 Large irregularly shaped bands and blocks of multi coloured concrete create pathways. These are interspersed with different coloured gravel, mulch, pebbles, succulents and varied coloured plants to an amazing effect.